Are y'all ready for the 2019 Country Megaticket…?! 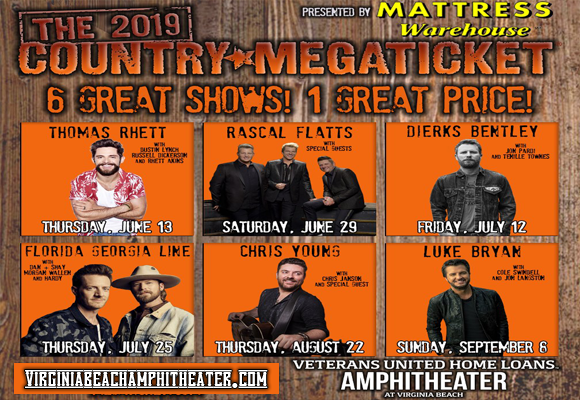 The season ticket any country fan NEEDS to get their hands on, the year's Country Megaticket grants you access to see Thomas Rhett, Rascal Flatts, Dierks Bentley, Florida Georgia Line, Chris Young and Luke Bryan, all for the price of ONE ticket! Available now, but only until Wednesday 12th June 2019, so pick yours up ASAP!